Kuhlman Corporation… Your success is our future. Kuhlman Corporation was established in Toledo, OH in 1901 by bricklayer Adam Kuhlman under the name Toledo Builders Supply Company. 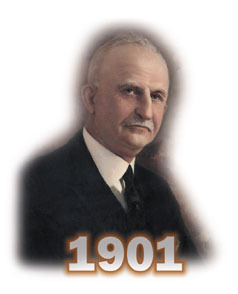 By 1915, the Company had established six building supply centers in the greater Toledo area. The business grew and became known as the Kuhlman Builders Supply and Brick Company. Today, we employ 150 people and operate several related businesses in Northern Ohio, Southeast Michigan and Southwest Florida: ready-mixed concrete manufacturing and delivery; a building materials supply house specializing in products for the concrete/masonry and water/sewer trades; sand and gravel sales and transportation; and water-oriented bulk materials handling. Kuhlman Corporation remains a family-owned and operated business — now in its fifth generation, headquartered in Maumee, Ohio. We are one of the largest producers of ready mixed concrete and K-Krete CDF mixes for industrial, commercial, residential and public works construction in Northwest Ohio and Southeast Michigan. Our plants are strategically located in Toledo, Ohio; Adrian and Monroe, Michigan; and Fort Myers, Florida. We also have portable plants available for on-site concrete production at major construction projects throughout the nation. A concrete crushing and recycling operation in Toledo rounds out our full-service production facilities. Our concrete plants are inspected and certified by the National Ready Mixed Concrete Association and Ohio or Michigan Departments of Transportation. Only the finest quality materials are used in our computer-controlled batching operations to assure the most uniform product quality. Our in-house quality control personnel are American Concrete Institute certified and trained to monitor and control our concrete mixes. Dispatching and coordination of our 65 ready mix concrete delivery trucks is designed to provide our customers with responsive and timely deliveries. 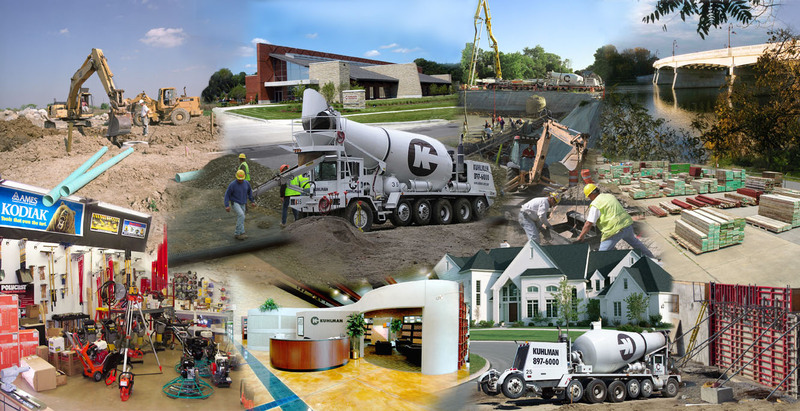 We supply concrete and K-Krete CDF mixes for projects as diverse as residential sidewalks and driveways to complex industrial facilities requiring tens of thousands of cubic yards of sophisticated quality concrete mixes. We are one of the region’s largest wholesale distributor of quality building materials for the concrete/masonry and water/sewer trades. We have sales professionals at nine locations to handle customer needs and inquiries from contractors and homebuilders, architects, engineers, government agencies, home and building owners, and plant and facility managers. Kuhlman offers an extensive selection of brick, architectural stone and structural glazed tile for residential and commercial applications. Also available is a complete line of underground products, including sewer and water pipe, hydrants, valves, couplings and geotextile fabrics. Symons and Meva concrete-forming systems are available for sale or rent at Kuhlman facilities in Toledo and Akron. Included among the concrete and masonry specialty items sold by Kuhlman are tools, restoration products, curing and sealing compounds, and rebar and wire mesh for concrete reinforcement. Contractors look to us for their purchases of mortars, bagged goods, caulks, epoxies, masonry reinforcing, insulation and flashing, concrete block, and damproofing and waterproofing materials. An extensive line of floor preparation equipment is available for sale or rent. Bulk materials such as mason sand, concrete sand, and berm stone can also be purchased at our facilities. We can deliver these materials to and for our customers in Northwest Ohio, as well as help them with their rough-hauling needs. Our bulk materials storage facility is located at our main production facility, “Yard 1”, on the Maumee River in the Port of Toledo. This is one of the biggest, most accessible and best organized bulk material warehouses on the Great Lakes for fertilizers, road salt, aggregates and agricultural products. We specialize in bulk materials which come in via self-unloading ships or multiple/single railcars; outbound shipments typically depart via truck or rail. On the site, a huge warehouse is designed to provide complete protection for more than 100,000 tons of material. Segregated storage areas and a sophisticated conveyor system assure secure material storage. Seven acres of hard-surfaced outdoor storage are also available. We have our own rail unloading system and railcar storage yard, with direct connections to several railroad systems. We also benefit from direct access to Interstate 75. You can depend on Kuhlman Corporation–since 1901, the standard for quality, value and service.